Free standing screens with a lower wipe clean wood finish section and upper glazed section. Choose from five finishes. Connects with other screens in the Deluxe range. Allows light to pass through the office while still providing space division and privacy. Deluxe semi glazed screens have an upper panel in white acrylic. The acrylic allows light to pass through keeping the office bright but still maintaining the privacy prided by a traditional office screen. 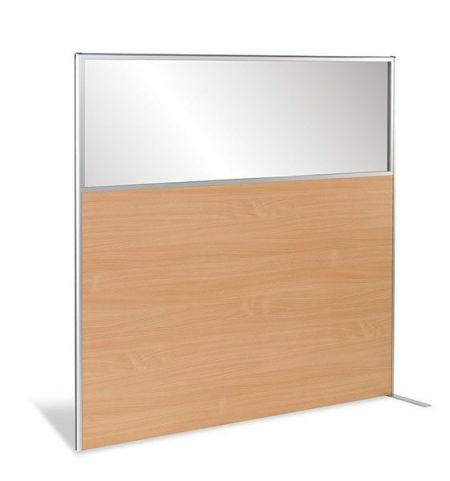 The wooden section of these office screens in available in easy clean Walnut, Oak, Cherry, Beech or Apple MFC. These screens can be connected together through the use of a simple connection strip.